It’s Monday again! I had a very quiet weekend, battling some sort of cold/flu/allergies all rolled up in to one strange feeling! But I managed to pull myself out of bed to make a chicken curry! I had a bit of a disaster last week, while attempting to make beef stroganoff! I may have left it cooking a little too long, and burnt the beef! Lord knows what I was doing… and no I was not doing that… get your mind out the gutter please, thank you! The recipe is pretty simple, chicken, tomatoes, onions, water and a big ol’ pot to cook it all in. 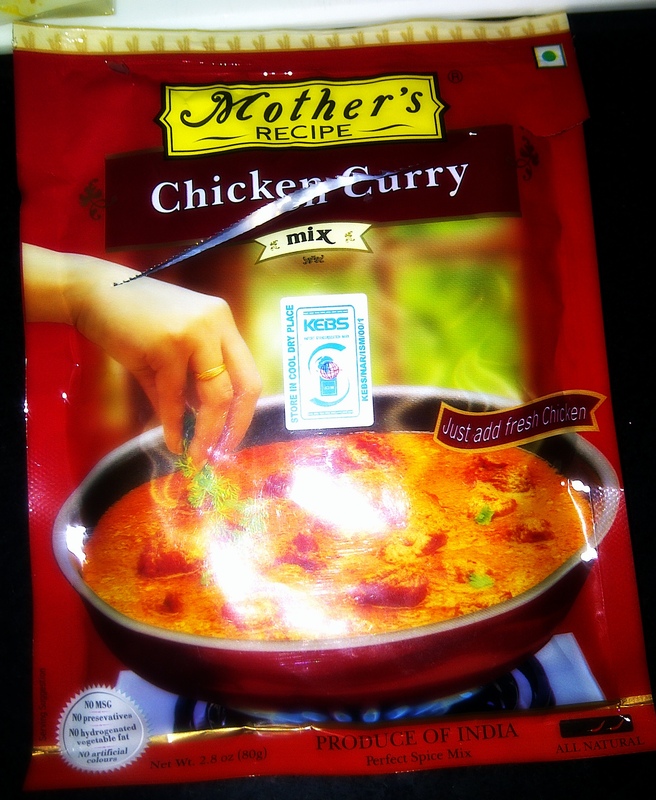 I found the curry pastes by Mother’s recipe at Diamond Plaza, they are great for adding flavour to your curry. They have different ones for say a rogan josh, a fish curry, mutton etc. I love Indian cooking, everything always tastes so rich and full of flavour, some too spicy you can barely taste yourself (again, mind out of the gutter please, thank you!). You can find these spices and pastes in almost all supermarkets, I would suggest experimenting with different ways of cooking, figuring out what works best for you! Heat oil in a large pot, add the onions and cook until softened and browning. This should take about 10-12minutes. You don’t want them burnt! Add the garlic and a quarter of the curry paste to the onions and brown for a further 8minutes or so. Increase the heat, add the chicken pieces to the pot. try not to stir for the first few minutes, so that the chicken can caramelise with the onion/curry mix. It also creates a nice crusty coating to the chicken. Add the tomatoes and water. I added the rest of the curry paste and a stock cube in the water to dissolve before adding to the chicken. Bring this to a boil, and then turn the heat down and simmer for about 20 minutes. When ready to serve, stir coriander in to the curry, season with salt and pepper and serve with steamed rice. 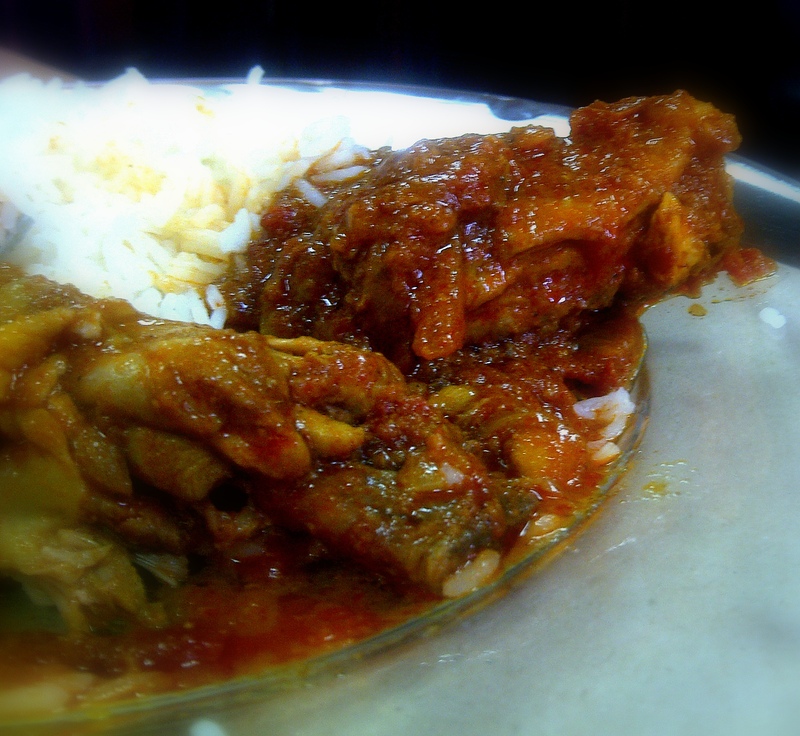 And that there is my version of a chicken curry in a hurry… Bish Bash Bosh and the job is done! I am in love with this blog…how I did not about it is beyond me…… I have sat through an hour reading almost all blog posts….added to my blog reader….thank you for sharing your foodie and ‘other’ experiences….